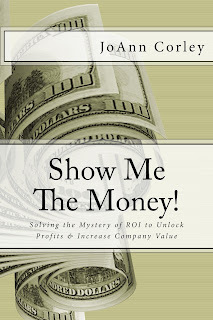 JoAnn Corley-Schwarzkopf | NewSchool Management: Must Read New Release! Show Me The Money! Must Read New Release! Show Me The Money! Show me the money! That’s what every senior leader says to the HR or training and development department when programs are initiated. They want to see a return on investment. They want to see a result… a result that can be measured. This has been a perpetual dilemma between the C-suite and human resources for years… for many reasons. Here’s my 2 main reasons. The first is a misunderstanding of behavior change (and so programs are chosen that have little to no impact) and the second, there hasn’t been a common, easy to use method to measure behavior and calculate returns. The sad part is, in many cases spending needs to occur because there are operational demands that must be and can only be met with employees. But with “cost” as a line of thinking, decisions are made that undermine the very thing needed to improve operations and positively impacts profits. Leaders are in effect working against their own company needs and yet some blame others for it. This serves as a relentless frustration human resource and talent management professionals face. And there in lies the reason for this briefing. Show Me the Money! 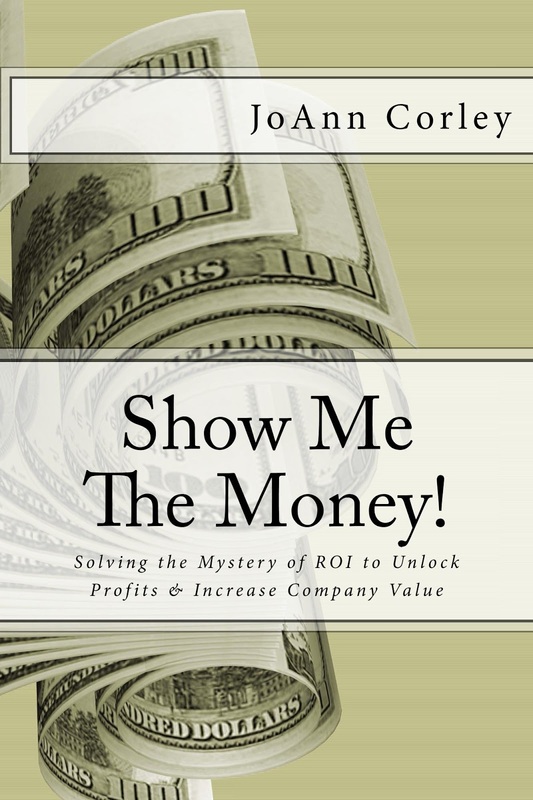 Solving the Mystery of ROI to Unlock Profits and Increase Company Value is a white paper that ballooned into a leadership briefing book providing solutions to this common, persistent dilemma in organizations of all sizes. 2. More broadly, how do we connect behavior to money so that we can assess and wisely spend to address employee performance. I guess it’s ok for a company leader to say, we make enough profits. But it doesn’t seem rational. Don’t most leaders want to make as much as they can while minimizing losses? What this type of conversation really reflects, is a mental block and a lack of knowledge and understanding that investing in specific behaviors (aka employee performance and development) can improve operations and thus generate more profits. In fact, there is no risk at all if implemented properly. By the way, the area in which this conversation feels the most ridiculous is management training… you have a retention problem but you can’t afford management training. After reading Show Me The Money!, that will not be said again. Show Me The Money! Is a must read for any one who manages and leads. It provides a definitive paradigm shift in how to view employee behavior/performance (I describe it as being behavior literate) and how to apply financial value to that behavior in the context of business operations (termed financial literacy). It can serve as a guide to accelerate your business acumen helping you become an expert advisor and internal consultant with key decision-makers. It will raise and reinforce your status as a relevant, invaluable business partner. This is a new release, so coming in the next few months will be a few webinars and leadership roundtables. I recommend you subscribe to the blog to continue to learn more and be notified of any scheduling.